Welcome to 730 Hunting Meadow. 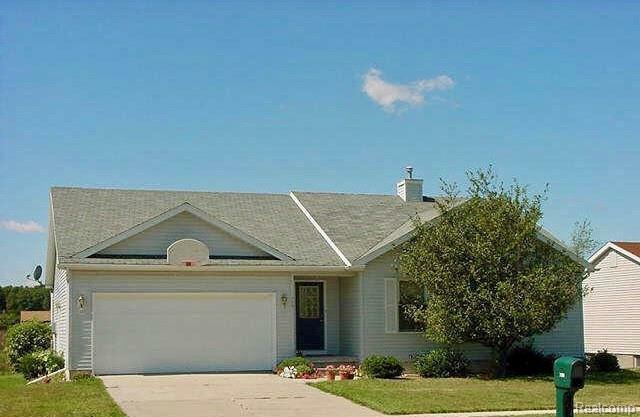 This charming and very desirable ranch home offers 3 bedrooms and 2 full bathrooms. Beautiful hardwood foyer that leads to a bright and spacious living room which is open to the kitchen and conveniently has a slider to your private back yard and firepit. The full basement has endless potential and is also stubbed for a 3rd bathroom. Large windows in the basement that provide ample lighting. 730 Hunting Meadows is the perfect place to call HOME! Legal Description Lot 4 Hunting Meadows Sec 8 T2n R1w City Of Mason Ingham Co.